User research is a magical thing. It’s a solution to problems with your product, your marketing, your design, even your company culture. It will help you sleep better at night. It will prevent you from breaking up with your significant other and yelling at your teammates. It will cure what ails you and save you from yourself. But doing the actual research work is hard, particularly when compounded with the need to design as quickly as we can. Building products in “agile development environments” is often compared to building an airplane mid-flight. Making mistakes is all but guaranteed, and might end up involving the NTSB and the TV show Air Crash Investigations. When teams incorporate empirically sound research, not only can they build the right product for the right people, they can truly forecast success. In my years of experience as a product designer at a series of startups, I’ve spent thousands of hours conducting user research in everywhere from high school classrooms to warehouses in Hong Kong. This is my field guide, of sorts, on how to conduct solid, reasonable, and reliable user research. Research that will help your team confidently make decisions and lead your product into proven territory. As I have gotten used to saying: we don’t have time not to do research. We don’t have time to redo work. We don’t have time to make catastrophic product mistakes. Now, let’s go talk to some users! 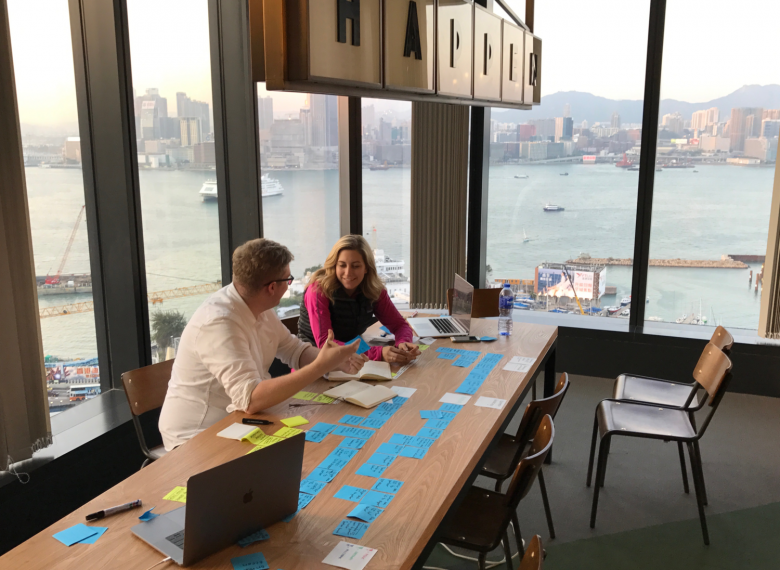 Photo: Above, amazing product manager, Molli Simpson and I are processing mapping some of Flexport’s operations above Hong Kong’s Victoria Harbor. User research is always this glamorous. Trust me. I’m a professional.